Above: Miki standing before a sea of kids at our first show in the town of Jászfényszaru. This would only be our second time doing puppets in Jászfényszaru. We’re thankful for the open doors in this town where we are currently church planting. Above: Midway through the puppet show, a narrative of the historical Biblical account of Easter. Above: As Erika explains the Good News after the show, Allen and Eniko illustratively act out various parts of the Gospel message. After the show various teachers commented on how they enjoyed the show. Afterwards, we were off to a preschool just one block behind this school. Above: This young boy was frightened before the show and on the verge of tears. He seemed very sensitive to noise and the cheering kids and puppet show was not something he was expecting in his day. Thankfully, he seemed to calm down when the show began and was able to stay for the whole show. 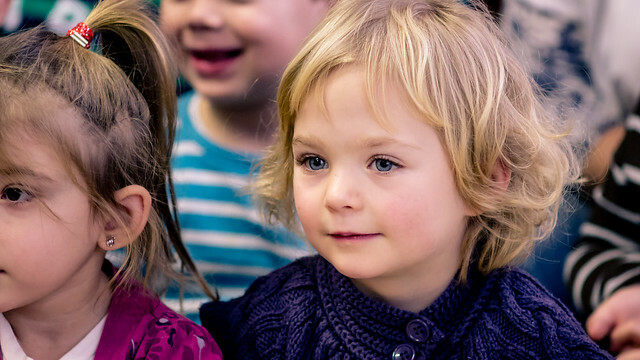 Please pray for the little kids we visit to experience God’s peace and His love and be set free from fear and anxiety. 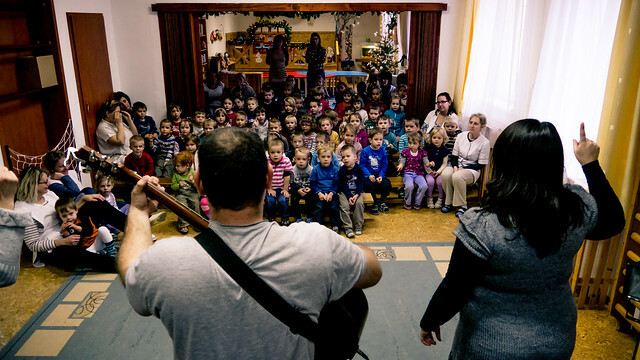 Above: Our third show for the day was in another preschool in the same town of Jászfényszaru. Thank you for your continued prayers! Overall, we had a great first day. Tomorrow, we’ll be heading to the neighboring village of Rozsaszentmarton where we are also churchplanting. We ask that you pray specifically for Jennifer who came down with a fever and soar throat after finishing today’s shows. Please pray for healing. Because of my recent trip to the US, I hadn’t been to Bogács for two weeks. As we pulled into Pulyka’s yard this week, we immediately heard shouts from his grandkids greeting us. It was a sweet reunion, even if we had only been gone a few weeks. A young man named Robi, who over a year ago regularly attended the Bible study when I first began traveling to Bogács, met me as I got out of my car. He lives in a house just behind Pulyka. He seemed very excited and immediately began telling me how he had been reading the Bible I had given him all last week. He said he just picked it up and couldn’t stop reading. He asked specific questions about sin and life after death which gave me opportunity before beginning the study to share the Gospel with him. I invited Robi to stay for the study and unlike times past where he would step in and out without clear interest, he sat next to me and was ready to listen. God is clearly at work drawing him to Himself! Robi showed me how he was underlining verses that stood out to him and how he was sharing what he was reading in the Bible with his girlfriend. He asked me one of my favorite questions. “Do you have any more material you could give me so that I can find out more about the Bible?” I encouraged him to begin reading through the book of Luke and look forward to discussing with him what he discovers this week. Please pray for Robi and his girlfriend. We appreciate your continued prayer for Izabella and Süni. 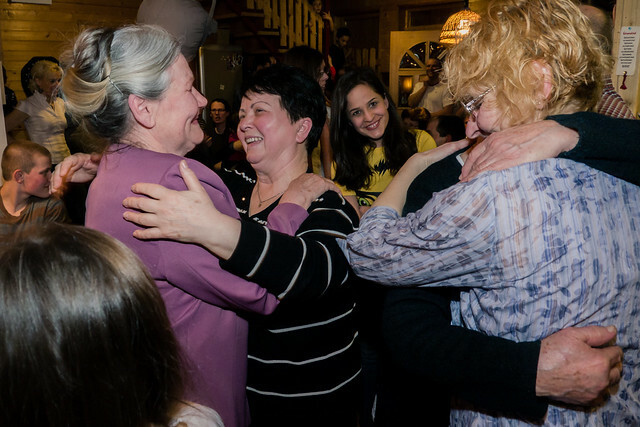 To recap for some of you, Izabella was one of the first to put her faith in Jesus in Bogács. She came to faith when her boyfriend (and father of her three children) was in prison. Süni was then released earlier this year and restricted Izabella from continuing to attend our weekly Bible study. Over the past few weeks Süni has warmed up to us a bit more, but still keeps his distance and still restricts Izabella from attending. Thankfully, before Süni was released from prison, Jesus gave Izabella a fairly strong foundation. Izabella continues to look to Jesus and looks forward to the day when she is free to have fellowship with us. The good news is that her children are allowed to be with teammate Eniko as she teaches in an adjacent room to where we hold our Bible study. Izabella comes in and out and had opportunity to talk a bit with Eniko and Brenda. She shared an experience that we believe to be from God. Izabella was in her room on Monday and felt the presence of God in a special way. She said, “Jesus if that is you, can you answer a few questions?” She first asked about me (Allen) and why I was sent. She said the quiet voice said, “He brings you the truth, listen to him. He is helping you to believe in God.” She then asked about Süni, “Will he be saved?” She heard a voice answer, “There is a time for all things. You, just trust in me.” Izabella said that she was greatly encouraged by this encounter and her faith has been stirred ever since. Please pray for Süni to encounter Jesus Christ and come to understand the hope in God that Izabella has in her heart. Above: Some of the children who attending worship service on Sunday. On Thursday night our Bible study in the neighboring town of Apc would be held in the home of Vivi and Robi. Robi is the young man that Jesus set free from drugs last year. Unfortunately, a few months after meeting, Robi began drifting away losing interest in God and stopped attending our studies. Vivi was saved in that time and continued to attend and grow in her faith in Jesus. Robi requested that we have the study at his house this week because he was ready to repent! He told me how previously, he just lost heart and was only attending because he felt he had to. Now, he realizes his personal need for Jesus and he put his faith in Him this week! Robi and Vivi are awaiting their second child who will be born any day now. Please pray for Robi to be completely transformed by the Gospel of Jesus Christ and for him to become light in his family and in the town of Apc. Pray for Vivi who will give birth any day now. Easter Puppet Outreach Begins Monday! The team has finished their last practice and is ready for our first Easter Puppet Ministry starting this Monday. We have 31 public schools lined up which means we’ll be sharing the Gospel with over 1,600 kids! This is the most schools we’ve ever done and we thank God for his provision of workers to allow us to have two teams to carry the load. We also hope to raise up a team of prayer partners who would commit to pray for us daily from Monday the 31st to Friday, April 18th. If you would like to be on our daily prayer team for this ministry please email me. Thanks for your continued support! I’ll try to keep the blog updated each day as we begin our first puppet show Monday. Years ago when we first moved to Petofibanya, one of our means of outreach was an English club where we met Judit. At that time, Judit was open and asked for prayer that she might be able to have another child. Joplin (her husband) and Judit had already seen specialists but found no success. Above: Picture taken in 2005 of our English Club. Judit is pictured third from the right. After prayer, God blessed her with a baby boy, a gracious and powerful answer. Judit ended up drifting away for a time but last year began attending Bible studies again. 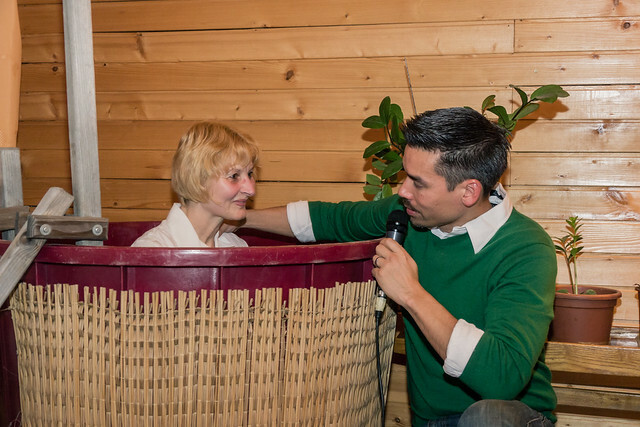 She put her faith in Jesus, was baptized and began reaching out to her family. Her daughter Réka was able to attend English camp last year and has since regularly attended church and youth group meetings. 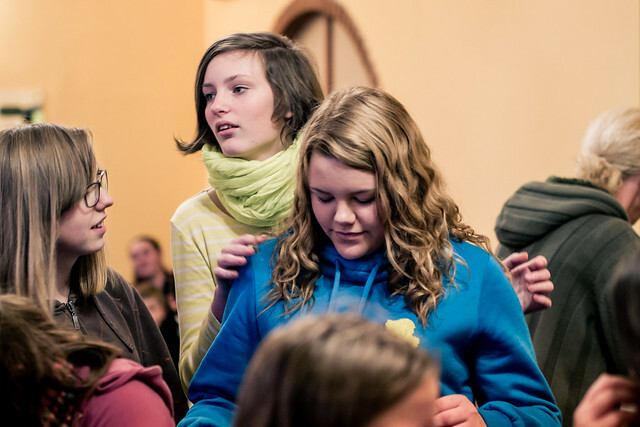 Above: Réka in green scarf at worship service. After many months of prayer and Bible study, her husband Joplin put his faith in Jesus last week! Today, at an early afternoon Bible study, I stood in a kitchen with Joplin as we broke into groups for prayer. What a blessing to see him smiling in a new way, and expressing how he sought to live out the same love that He has experienced in Christ. 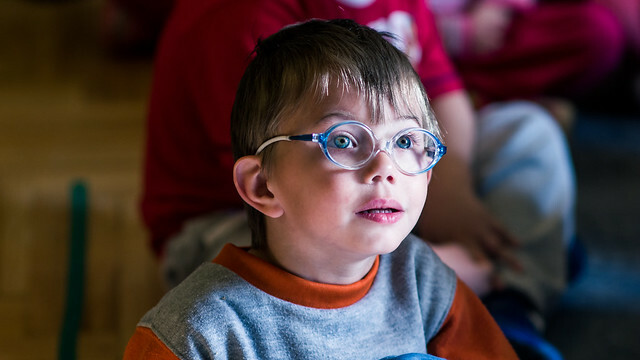 One prayer request that he had a few weeks ago was for his son, now a student in elementary school who had been struggling with behavioral issues and problems learning. God has since been giving Judit and Joplin wisdom as to how to better help their son and there have been clear changes brought by God’s grace. Who could have known that seeds planted in Judit in 2005 would flourish and grow moving her entire family to know Jesus as Lord and Savior! Praise God for causing growth that will continue to bear fruit through this family! We rejoiced along with heaven at the baptisms of Irén and Edit two Sundays ago in Petofibanya. Edit has been a prominent teacher for years in Petofibanya and Irén is the mother of Tamara, a young woman who saved and baptized in May of last year in Petofibanya. Above: Irén and Edit choosing to be baptized into Christ on Sunday. “...Time passed and I found myself going for the first time to their Bible Camp with my grandkids. While there, I was even more amazed with how much love the members of the church poured out. My grandkids loved it so much that soon after they planned to attend next summer as well. Edits testimony continued: “The following year, there were seven of us that attended. This time my brother came with his grandkids. After the end of this camp, we visited the Sunday Worship Service. This was something completely different than I had ever experienced compared to [my past religious experience]. The prayers were not repeating something memorized but coming with full emotion from hearts turned to the Lord. I felt I needed to come back. I wanted this. I wanted to be united with these humble people. I saw nothing but the love of God in them. Every time I met them I experienced the same thing. Edit is a prominent teacher in our local elementary school. Both the principal of the school Gabriella, and a fellow teacher Angi came to Edit’s baptism. The next day at school, Edit shared that they both came and asked to talk in private. They both expressed a recognition that Edit has completely changed and wanted to know more about the new life that Edit has in Jesus Christ. My prayer for Edit is that she become a brilliant light in Petofibanya’s school that pours out the the same love and shares the same Gospel that has reconciled her to God through Jesus Christ. We praise God for our VBS not only reaching children, but even grandparents for Jesus Christ! 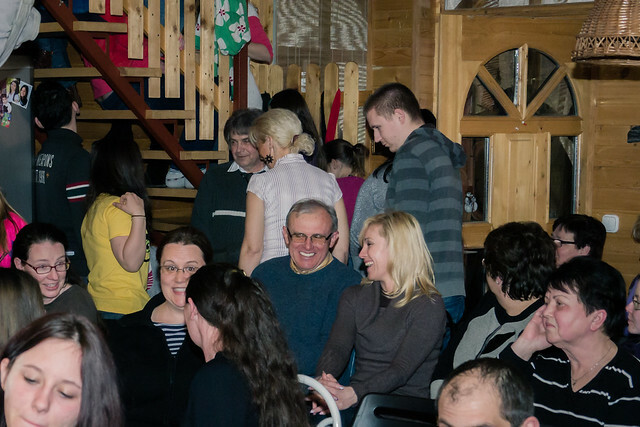 Above: Edit’s husband (smiling in the middle) seated next to Angi, one of Edit’s fellow teachers. Before coming to Bogacs on Tuesday night, I had been in prayer asking for more opportunity to pray for Dadás, a relative of Puljka who’s house we have small group in each week. Instead of Puljka and his wife Katyus joining me, they thought it best that I go by myself to Dadás’ house a few blocks away. Their grandson accompanied me as we walked to Dadás’ house. On the way, another young boy joined us. I recognized him, but didn’t know from where. He then said, “Allen, can you pray for my dad. He’s in prison.” Then I remembered. His dad Robi was one of the men who would visit when I first began attending Bogacs over a year ago. This boys name is also Robi and I just felt sorry him. It seems like this is the normal life of many boys in this community. I prayed for his dad as we walked. Above: Taken in February of last year, Robi (now in prison) on the far left and his son Robi to the right of me. We were welcomed by Dadás’ family. Entering into the back room where Dadás lay mostly paralyzed with no ability to speak, I knelt down and explained that I would like to read from the Bible to Him. I felt earlier in the day that God wanted me to share the Gospel with Him. However, when I said this, he began shaking his head no. I wanted to make sure he understood what I was saying, and it seemed clear he understood and did not want any more prayer. I left the room with his relative and spent some time talking with them. They were very receptive and thankful for prayer and invited me back sometime to discover what God’s word teaches. Returning to Puljka’s house, I was surprised to see his daughter Izabella standing there and saying she would be staying tonight. Although she didn’t have official permission from Süni (her boyfriend and father of her three kids) she said she felt she must go. We’re thankful for the encouragement and teaching she was able to receive in our brief time of fellowship. Katyus, the mother of the household shared a flyer with me smiling. Apparently, last week at a bus stop, a group of women distributing evangelistic materials gave this flyer to Katyus. This brought encouragement to Katyus as she recognized that God knew where she was and was continuing to help her understand more about Himself and a relationship with Him. Please continue to pray for this family and for a new generation of Romani to be transformed by God’s amazing grace as they turn to Jesus Christ. I (Allen) will be back in the US from the 13-19th of this month. I would appreciate your prayers for Sharon and the kids as I’m away. Please contact me if you would like to meet with me personally. We appreciate your continued prayers and support. 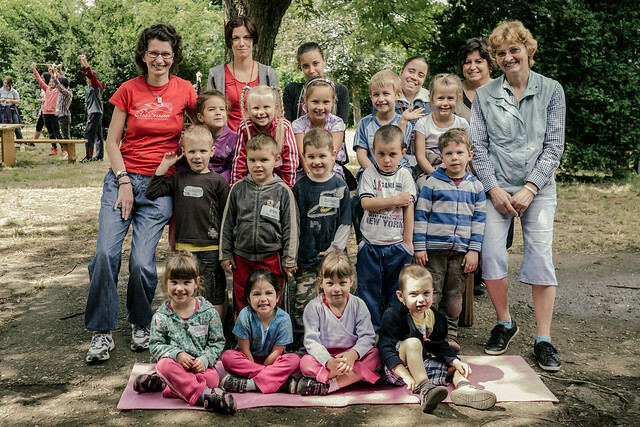 Rejoice with us in the great things God is doing in Hungary!